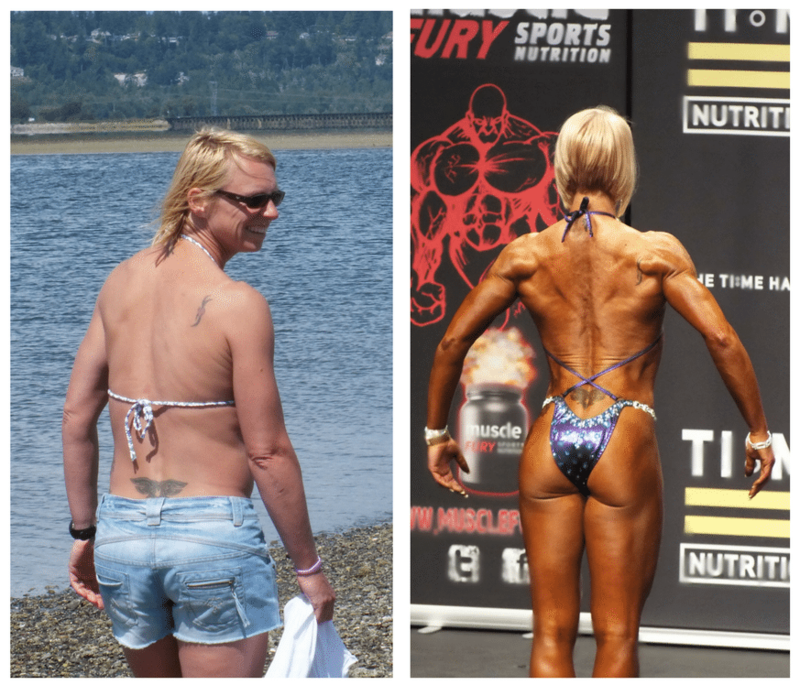 Every journey starts with the decision to change – including our champion Sarah Grant! 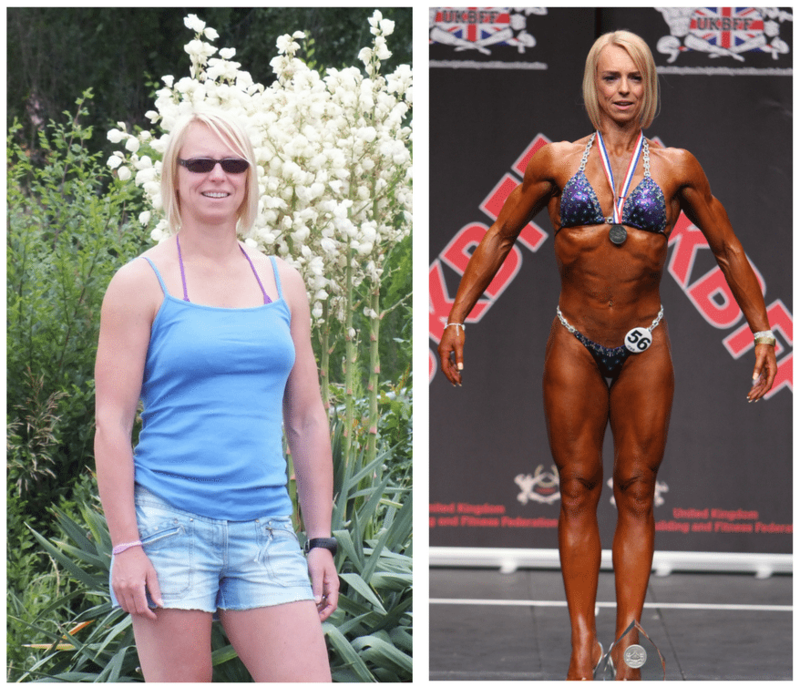 It’s been 6 months since Sarah won gold at the UKBFF Championships. Last time, we sat her down and asked all the questions we wanted to know – why did she do it, what was involved and, importantly, would she do it again. This time, we are chatting with her partner, Neil, about what it’s like supporting an athlete in competition prep and his top tips having witnessed the process firsthand. What’s was it like living with Sarah while she prepared for her competition? I think one of the biggest challenges is food. Sarah started off eating around 200-300g carbs per day. Possibly even more than she would eat normally, but this was combined with lots of training. For me, Sarah’s change in diet was refreshing. We ate plenty of food; we just had to make sure it was full of the good stuff. The biggest change for me was not bringing the odd bottle of wine or box of chocolates home (if you know me, you know that is a big deal). It wouldn’t have been fair to Sarah. I think my biggest tip for anybody considering any sort of exercise of diet change is to ensure that you have a good support system around you. It is crucial to get those at home on board in order to make the whole process that bit easier. 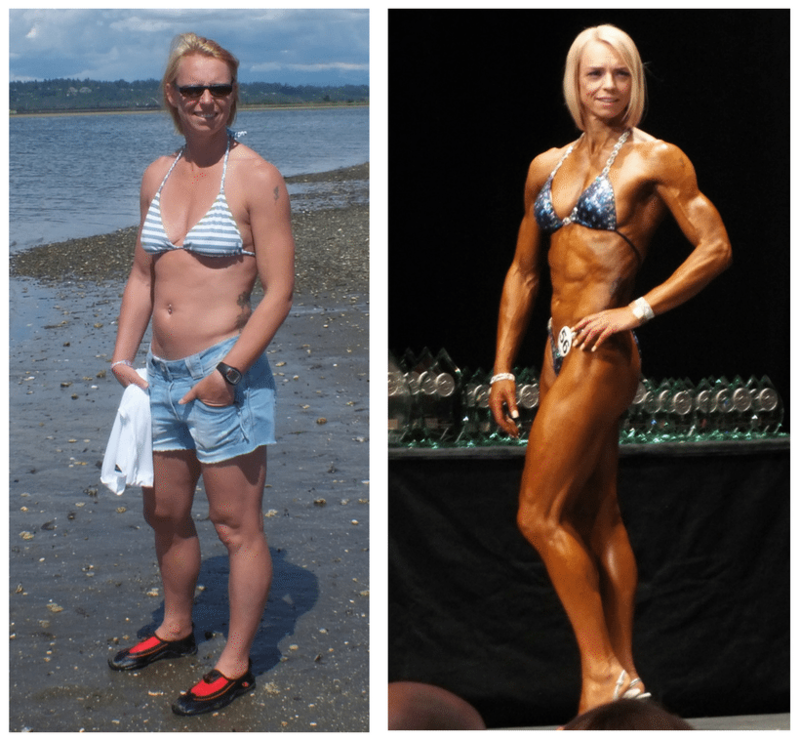 As Sarah moved closer towards the competition, about 4-6 weeks away, her diet changed dramatically. She had to cut her carbs significantly, which made the process tougher, not to mention having to miss out on a lot. It wasn’t possible for us to go out much (unless Sarah prepared her food in advance and brought it with us), especially because most social events revolve around food. Sarah demonstrated a new level of determination. Not only was she watching what she ate – which, if you’ve ever tried is difficult enough – she had to combine regular training with a full-time job. She would get up at 6am to fit in some cardio before the day started and would regularly visit the gym again in the evening. The process is a tiring one and certainly not recommended for the faint hearted. How did Sarah’s prep impact you? I actually really enjoyed the process because it gave me a good excuse to watch what I was eating, too. Evening meals we shared together, which typically included a grilled chicken breast, green beans, broccoli and sweet potato mash – yum! As a Personal Trainer, I am out a lot in the day, so if I fancied something indulgent, I did it away from the house so to speak. It might have been more difficult if I spent a lot of time at home, but the diet really worked for us. What was it like witnessing Sarah’s progress? I’m a Personal Trainer and tutor so part of my job involves teaching others to become fitness professionals. Typically, her diet and training goes against some of things we would recommend. As a PT, I understand what is going on in her body and, the truth is, it’s not sustainable – Sarah will tell you that. After her last competition, we had a more ‘relaxed’ diet (but it was probably still healthier than most!) and in under a week Sarah put on 3% body fat. This is a classic example of the body’s reaction to such a diet and training regime – as soon as you break the cycle, your body stores food as fat at a much faster rate. Be prepared. This might sound obvious, but it is easy to watch the athletes strut on the stage and presume it’s not too difficult. It is or, at least, it can be. Firstly, you need to alter your training programme. Often you have to do less of the sports you enjoy and more of the stuff that will get you results – this can be tough on your motivation, especially if you need to get up at 6am to do it. Secondly, and this was one of the hardest parts for Sarah, you need to consider all the ‘extras’ that come with competing – your nails, make up, heels and not to mention posing on a stage in front of hundreds. I think it is easy to look at somebody like Sarah who has always maintained a good level of fitness and think “it’s easy for them, she was already fit enough”. This might be so, but being/looking fit is only part of the package. 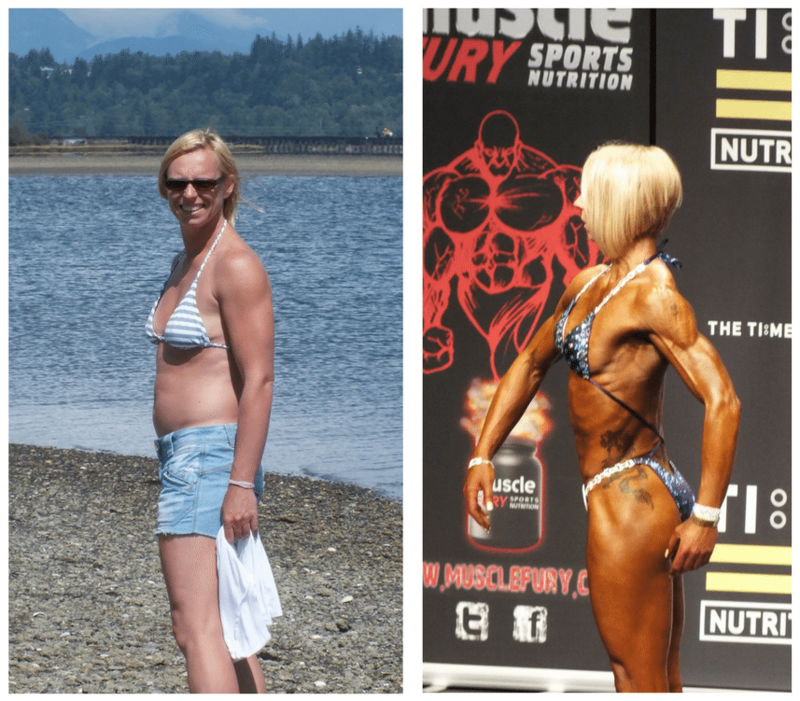 Sarah had to step out of her comfort zone in other ways – for you it might be exercising more or counting macros – for Sarah it was spray tans, false eyelashes and bikinis. Finally, if you want to improve your fitness, don’t let your age ever stop you. Sarah will be 50 next year and she has shown that nothing is impossible. It’s absolutely true that as you get older it becomes harder to achieve what Sarah has, but if she can do it, you can too. Age is just a number!